Gary Gent and Debbie Gent are both traditionally trained shamanic practitioners and coaches located in Grants Pass, Oregon. For almost three decades they have been helping people recover their fragmented soul pieces to live more whole and balanced lives. 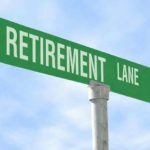 The time has come for us to begin a new journey into retirement. We are longer be taking new clients. We will be updating the website and adding information for shamanic practitioners we have trained, to whom we happily refer new clients. In the meantime, please feel free to contact us for the name of a referral. For those of you that we have been serving over these many years, we will still be here for you. Please feel free to continue to contact us for your soul recovery journeys or for retreats. 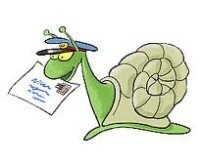 Want to send us something by “snail mail”? Gary will continue to offer retreats at Shaman’s Grove and Shaman’s Marketplace will continue to offer you quality products for your shamanic practice. We thank you for being part of our journey for these many years. We are looking forward to our new adventure with great excitement. Specialties: Soul Recovery & Extraction, Death Walking, Clearings, Offering Playshops on Connecting and working with Spirit Guides and training in Shamanic work. About Deb: Deb has been an Asian Bodywork Therapist since 1992 and an instructor of Shiatsu and Traditional Chinese Medicine since 1996. She began training in 1994 with Gary Gent in Native American Spiritual Healing for her own healing and growth. 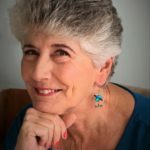 Finding a Spiritual Path, and Guides uniquely her own, enhanced her therapy practice and teaching and encouraged her training in the Shamanic ways. Connecting and working safely with Spiritual Guides is sacred, however, it can be approached with joy and humor. Deb (with her Guides) loves sharing with others how to sustain health and well- being with great joy and laughter . 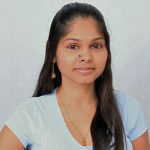 About Renukha: As she is fulfilling her childhood dream to combine healing with nature and spirituality, Renukha enjoys working with people from all walks of life. She has a passion for helping people to heal themselves on multiple levels. Renukha Arjoon has been trained as a Shamanic Practitioner by her mentor and guide Gary Gent in 2015, and she is honored to help people in any way that she can with Soul Recovery & Extraction Journeys. Prior to being formally trained in shamanism, Renukha had graduated as a Certified Clinical & Transpersonal Hypnotherapist in 2011 and she has been a Hypnotherapy Instructor for 5 years with Institute of Interpersonal Hypnotherapy. As she is currently taking a hiatus from teaching, Renukha continues to practice hypnotherapy from her office located in Hollywood, Florida in the United States. Renukha prefers to do Shaman Journeys remotely which means that anyone anywhere in the world can request a journey to be done without having to be physically present. She enjoys combining hypnotherapy and shamanism for maximum benefit to clients. Feel free to visit Renukha’s website at https://www.healthylivinghypnosis.com/ to learn more and give her a call at (954) 889-7751.